Sun glistens on aquamarine water; fluffy white clouds provide high contrast against the cerulean blue sky. The clang of a distant bell punctuates the susurrus of water along the hull as a lone seagull arrows into the water ahead, then re-emerges abeam, wings beating the surface to effect a dripping takeoff. A lovely daydream? Not at all! Seven days cruising the crystal clear waters off of Newport, Rhode Island and the nearby islands are in your future. We’ll board our boats in Newport on Friday afternoon, July 12th and set sail Saturday morning for island destinations. A multitude of fascinating harbors are at our disposal around Cuttyhunk, Martha’s Vineyard, Nantucket, the Elizabethan Islands, and in Buzzard’s Bay. Several full days of glorious sailing will alternate with shorter days and a layover day in Nantucket that will leave plenty of time for exploring the island’s sights and history. Saturday morning we’ll head for our first destination, Cuttyhunk Island, enjoying a view of the rugged Elizabethan Island chain along the way. Mostly owned by various branches of the Forbes family, the very names of these islands raise visions of early Native Americans: Naushon, Weepecket, Pasque, Nashawena, Penikese, Cuttyhunk, Nonamesset and Uncatena. They form the border between Buzzard’s Bay and Vineyard Sound. Cuttyhunk, at the western end of the chain, is the only one that isn’t mostly private. We plan to moor in Cuttyhunk Pond and have dinner on-board this first night out. On Sunday, we’ll depart Cuttyhunk, sail through Quick’s Hole between Nashawena Island and Pasque Island, and on to Oak Bluffs on Martha’s Vineyard. Oak Bluffs was settled in 1642 and officially incorporated as Cottage City in 1880. The town has many points of interest including “Camp Meeting Grounds” (a 34-acre circle with more than 300 multicolored, elaborately trimmed Carpenter Gothic cottages) and East Chop Lighthouse which is perfect for photo opportunities. At Oak Bluffs we plan to catch a mooring and raft with the other boats on the trip. The marina at Oak Bluffs has a launch services and crews can choose whether to dine on-board or ashore. 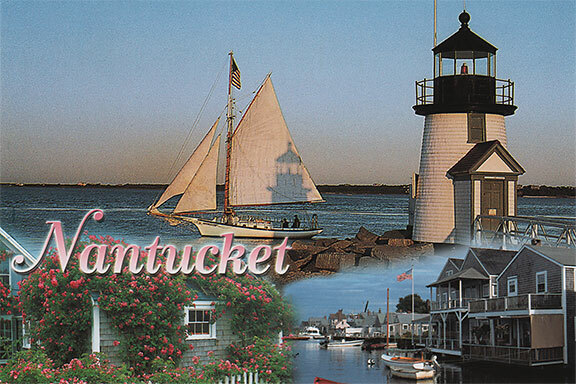 Monday we will sail from Oak Bluffs to Nantucket. There’s so much to see and do on Nantucket we’ll take an extra day here. On Tuesday you can rent a bicycle to explore, or hire a taxi to help you find the perfect Nantucket Lightship Basket. Learn about eighteenth century lifesaving techniques at the Nantucket Lifesaving Museum, or about whaling at the Nantucket Whaling Museum. If you haven’t had enough sun and surf, walk to the nearest beach to get a little more. Whatever you do, get back to the marina on time! We’re arranging a group dinner to celebrate the halfway point of our island adventure. 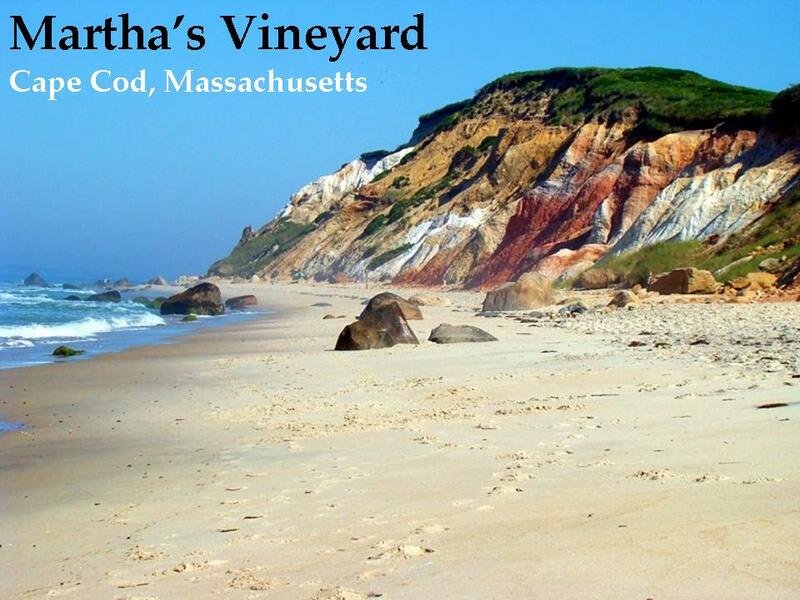 Wednesday’s sail will take us back to Martha’s Vineyard and Vineyard Haven Harbor. We plan to pick up moorings at Owen Park Town Dock. There is a water taxi available and the park has a dinghy dock, so crews can plan dinner aboard or ashore. Plan on a snack at either the Black Dog Cafe or Black Dog Tavern in Vineyard Haven and pick up a black Labrador hat to go. On Thursday we’ll be up early for the 43-mile sail to Jamestown, RI just across the East Passage of Narragansett Bay from Newport. At the Conanicut Marina we’ll take a mooring for the last night “must go” dinner or enjoy a dinner on shore at one of the many Jamestown restaurants. Then on Friday we’ll need to be up early for a short motor to Newport to re-fuel, pump-out, re-fill the water tanks, remove our trash and gear, and depart the boat by 11:00 a.m.
We’ve reserved three Jeanneau sailboats (two 42s and a 43.9) from Bareboat Sailing Charters (www.bareboatsailing.com). The cruise will last seven days and include almost 150 miles of sailing. Most nights we’ll be at anchor or on moorings, with two nights in slips. All boats will have dinghies, and launch service will be available in most anchorages. The cost of the trip is $925.00 per person (Skippers and Trip Leader $554.00). The price covers charter fees, ten-foot dinghies for each yacht, two night’s slip fees on Nantucket, and one group dinner. Fuel, provisioning, other mooring fees, and other incidentals will be handled by each boat's crew. A $150.00 non-refundable deposit is required to hold your position. Please make your check payable to The Sailing Club, Inc. and mail it, along with your completed reservation and release forms, to Gary Brubaker at the address below. Reservations will be processed beginning April 6, 2019 with a random draw of those received by that date. All reservations received after that date are on a first-come, first-served basis. The balance of $775.00 is due on May 13, 2019. The Club's standard 30 day cancellation policy applies for this trip. A pre-trip meeting will be held about a month before the trip, at a time and place to be announced. All crewmembers should make every effort to attend in order to meet your crewmates, plan your meals, and make travel plans.